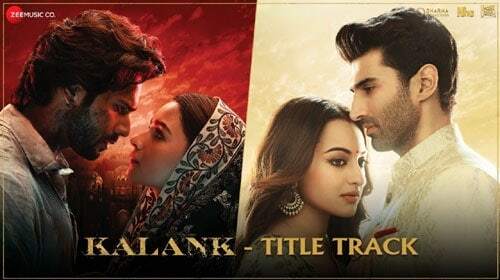 Kalank Lyrics is from the movie Kalank which stars Madhuri Dixit, Sonakshi Sinha, Alia Bhatt, Varun Dhawan and Sanjay Dutt in the lead role. This song has been sung by Arijit Singh. The music of Kalank is composed by Pritam and the lyrics of Kalank has been penned by Amitabh Bhattacharya. Listen to Kalank Title Track on Jio Saavn. Listen to Kalank Title Track on Gaana.